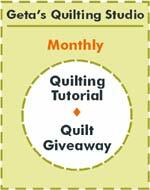 Free border and sashing pattern. The blocks were gifts from my friends for my 60th Birthday! Here is my quilt top. 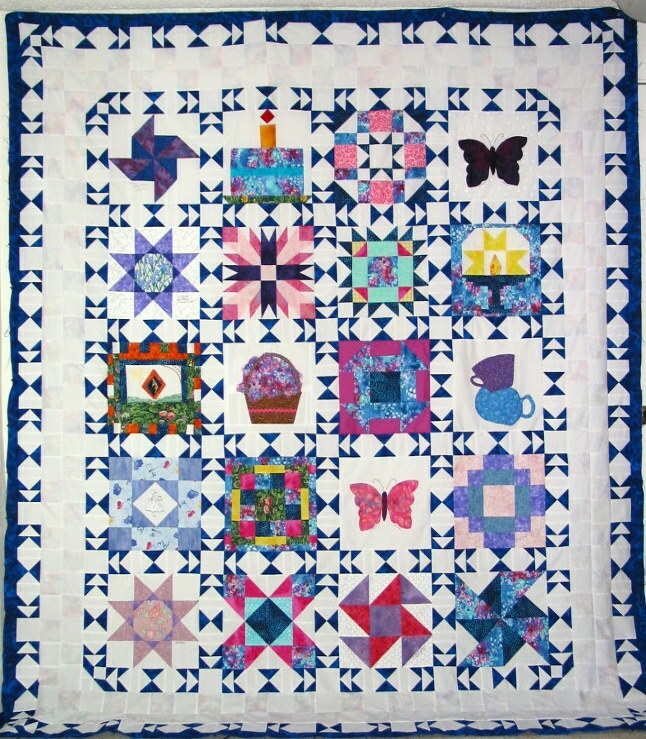 This is my version of Bonnie Hunter’s Double Delight Mystery Quilt with the new border pattern. 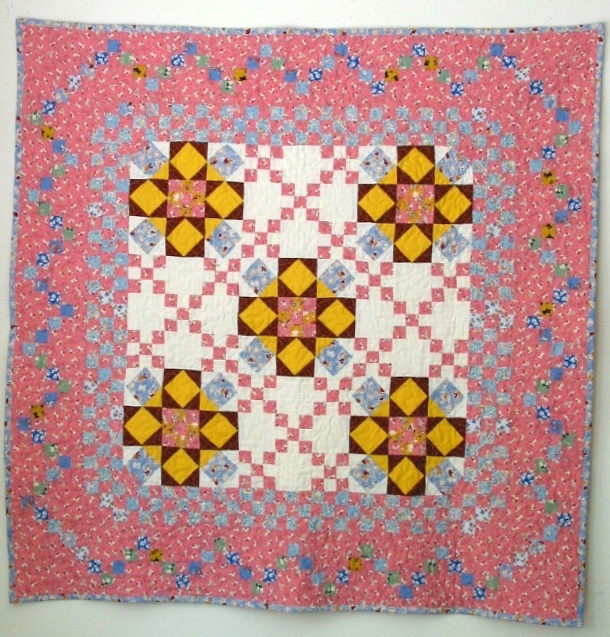 It will be quilted soon and off to its new owner. 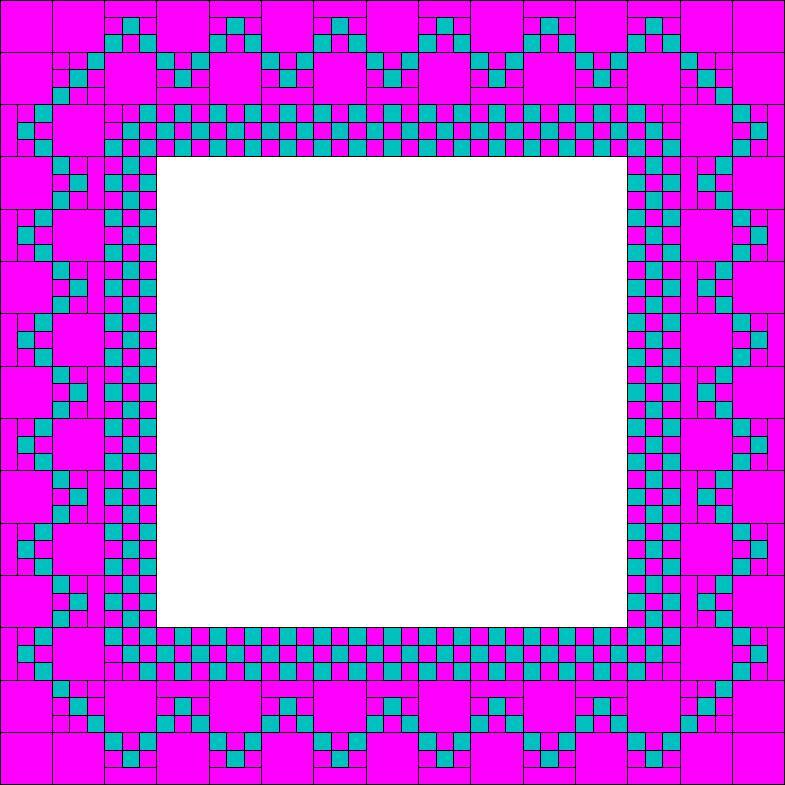 I changed Bonnie’s block a little by replacing 4 of the cream triangles with pink triangles in the four corners. I used my Repro 30’s bubble gum pink baby print fabric. 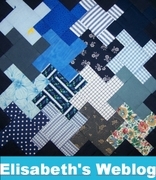 You can use this pattern with any quilt that has (9) 9″ finished sized blocks. 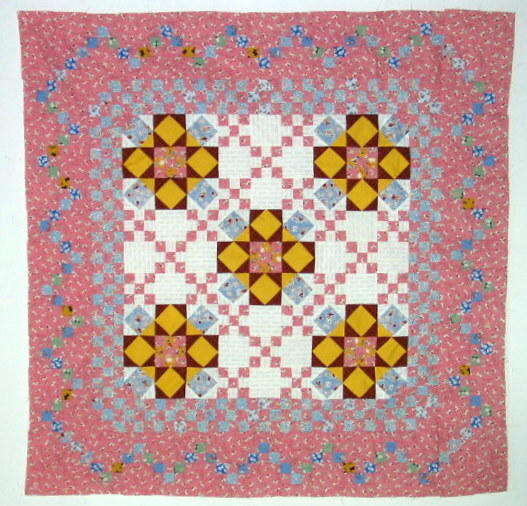 I love how sweet this little quilt looks.